Description: In all areas of their lives, Christians need more of God. Andrew Murray shares thirty-one heartfelt meditations to help renew your vision and quicken your desire to turn to God for His quiet, peaceful strength. 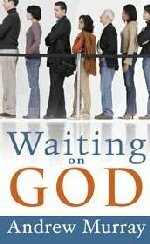 Discover how God's presence and love can refresh the weary heart who learns to wait on Him.